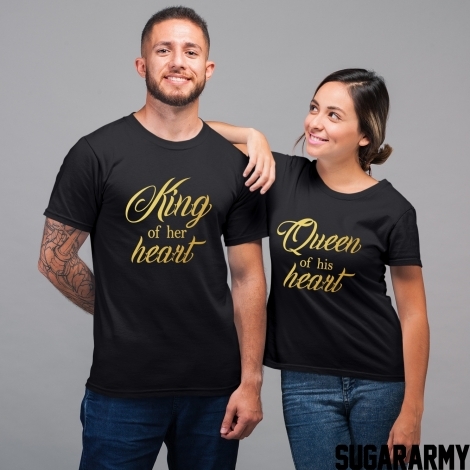 Nothing says “you are so cool and I love you for that” to your closest partner in life like our custom made matching couple t-shirts. When you want to make that simple and in the same time personal statement that you love and care about someone and when you want everyone to know that, this is the great choice for you! 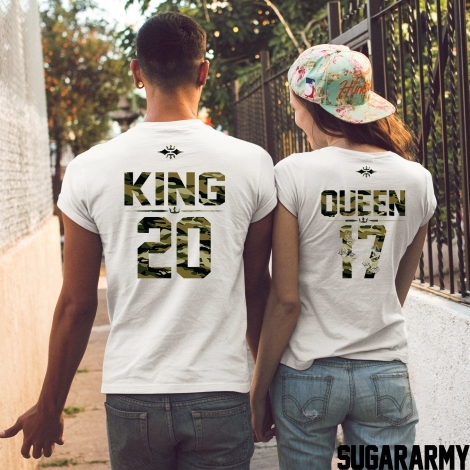 Out matching couple t-shirts Camo collection is created by your demand. That custom nature of these products is what makes them desirable and wanted from many couples. 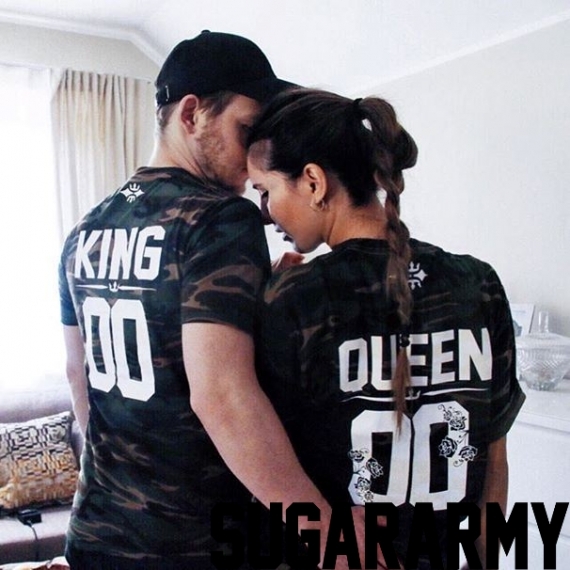 What is that special thing that makes these King and Queen t-shirts so likeable from people in love? It’s their special outlook which we manage to create for your joy and pleasure. It is also their design and high-quality material of creation, which makes them both durable to any conditions and adjustable to many different styles of clothing. 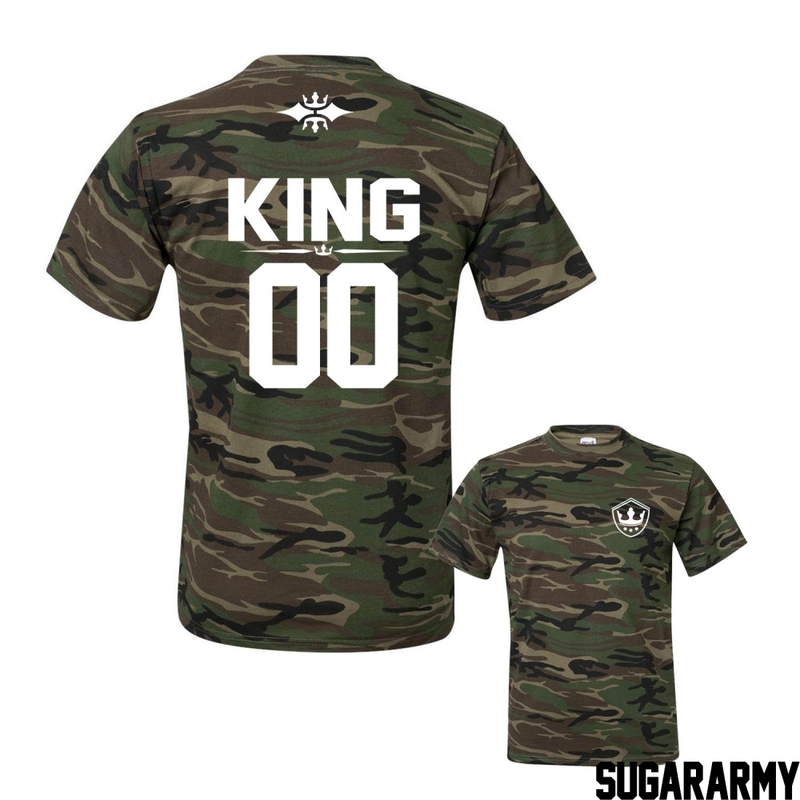 We say that it’s a pretty darn good combination of Camouflage KING t-shirt Custom Number nicely combined with Camouflage QUEEN t-shirt Custom Number. And why not, since they are so in match for each other! 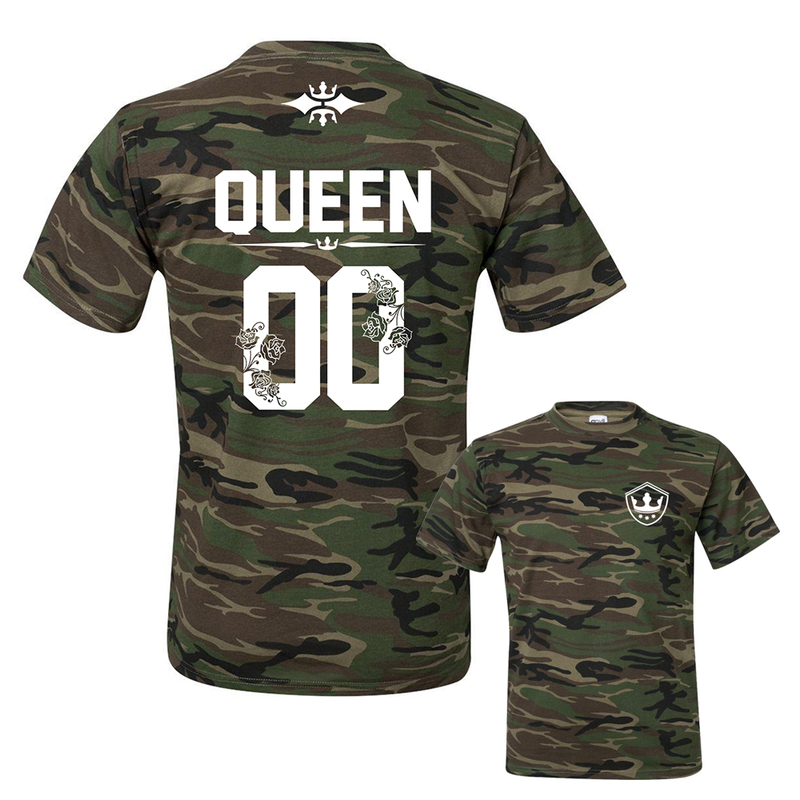 Both of the models have their distinctive military look, but the QUEEN’s t-shirt has its beautiful and thorny side with the roses around the custom made number. That is what you get from us when you simply want to be trendy enough and in the same time to invest in a cool and contemporary product, which will be great for you, for her and for the great team you make in life.